The Australasian Grebe is a small waterbird with two distinct plumage phases. The non-breeding plumage of both the male and female is dark grey-brown above and mostly silver-grey below, with a white oval patch of bare skin at the base of the bill. During the breeding season, both sexes have a glossy-black head and a rich chestnut facial stripe which extends from just behind the eye through to the base of the neck. At this time, the eye becomes darker and the patch of skin at the base of the bill becomes pale yellow and more noticeable. 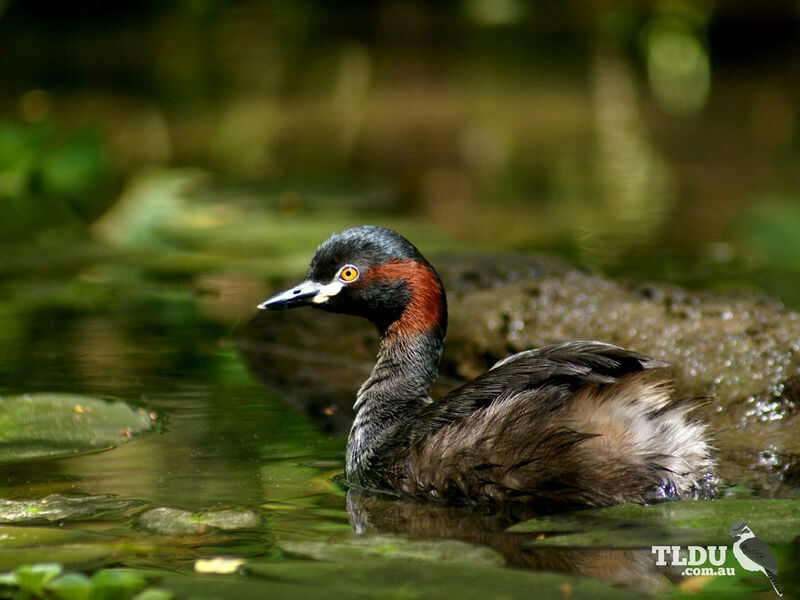 When approached, Australasian Grebes usually dive under water. 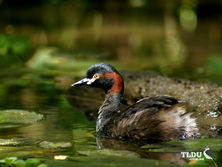 The Australasian Grebe is found throughout Australia and throughout the Pacific region. Also self-introduced to New Zealand. The Australasian Grebe may raise up to three successive broods in a season. The pale blue eggs are laid in a nest which is a floating mound of vegetation, normally anchored to a submerged branch or reed. The striped downy chicks are able to swim from birth and are cared for by both parents. When parents start breeding again, however, the young of the previous brood are driven away.